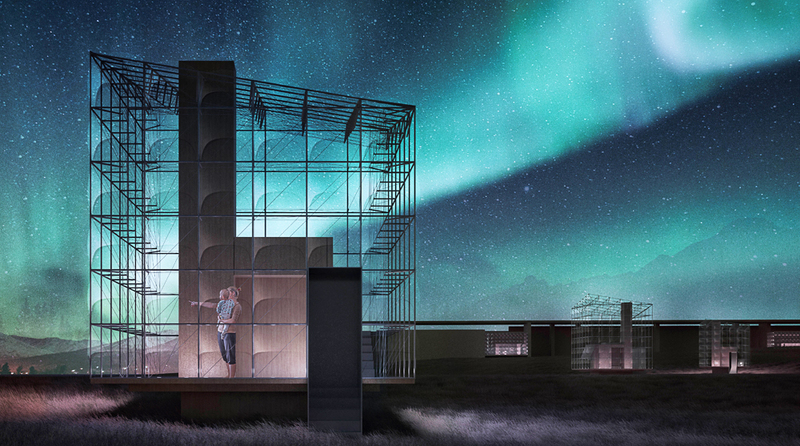 Iceland Northern Lights Rooms competition winners revealed! All information presented below (text, banners, video) can be used freely, without Bee Breeders' written permission, for any media bodies but only for purposes relating to the Iceland Northern Lights Rooms competition. 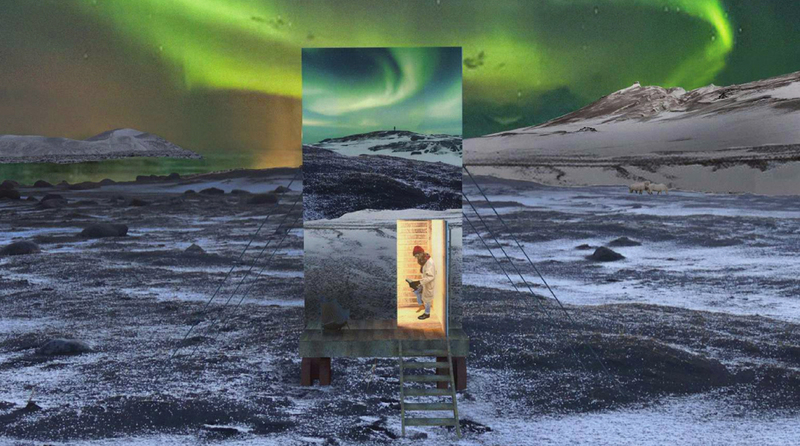 The Iceland Northern Lights Rooms architecture competition tasked participants with envisioning a concept for a guest house that allowed visitors to directly observe the unusual and magnificent spectacle that is the Northern Lights. The winning proposals were chosen for their creative experimentation with a specific material and for their distinct interaction with the site and the sky. 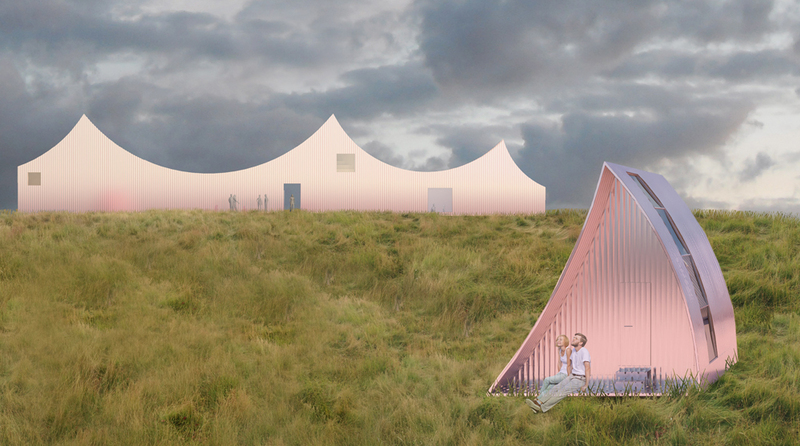 The first place winners were Kamila Szatanowska and Paulina Rogalska from Poland, for their IN.VISIBLE project that featured a series of mirror-clad guest houses of varying sizes. Each house was moveable and distributed about the site so that, when lit at night, they performed like glowing lanterns. Second prize went to Francois Bodlet from Belgium for his BLEIKUR project, which adapts the typical Icelandic corrugated metal panels and proposes a series of sail-shaped buildings made of metal and plywood. Third prize went to Catarina Oom De Sousa, Carla Romagosa Girós, and Eftalia Proios Torras from Spain. Their Northern Lights project involved a cube of transparent ETFE pillow membranes surrounding a compact core to create a semi-private, energy-efficient space.